The Trump administration is moving to expand the territory open for oil exploration in Alaska’s National Petroleum Reserve, a process that could shift drilling rigs closer to herds of caribou and flocks of threatened birds. With a notice scheduled to be released Nov. 20, the Interior Department is taking the first formal step toward rewriting a 5-year-old Obama administration management plan that put about half of the 22.1 million-acre reserve off limits. The new management plan will reflect “exciting new discoveries” and advances in technology, said Joe Balash, assistant secretary of the interior for land and minerals management. The effort responds to complaints from oil companies and state officials that the Obama administration’s plan was overly restrictive, blocking drilling in promising areas while hampering the construction of pipelines across the reserve. Interior Secretary Ryan Zinke last year issued a directive ordering up a new management plan that “strikes an appropriate balance” of promoting development while protecting other resources. The Interior Department now will consider options for opening new areas to oil leasing and examine current plan boundaries designed to protect ecologically sensitive habitat in the reserve. The agency said it also would weigh changes to conditions required of oil companies doing business in the reserve while developing management goals that are “environmentally responsible” and respect traditional uses of the land. Balash said it would take about a year to revise the NPR-A management plan and prepare a related environmental impact statement. Conservationists argue the Obama administration in 2013 rightly blocked development in 11.8 million acres of the reserve home to caribou herds and polar bears — and those protections shouldn’t be undone now. Environmental concerns and oil industry interest center on Teshekpuk Lake. The freshwater lake in northern Alaska provides habitat for the Teshekpuk caribou herd as well as nesting shorebirds, molting geese and the Spectacled Eider, a bird threatened with extinction. The lake also happens to sit on top of an oil-rich geologic formation known as the Barrow Arch, making it a potent lure for energy companies. This is just another example of this administration’s shortsightedness and desire to sell off America’s public lands to oil companies. 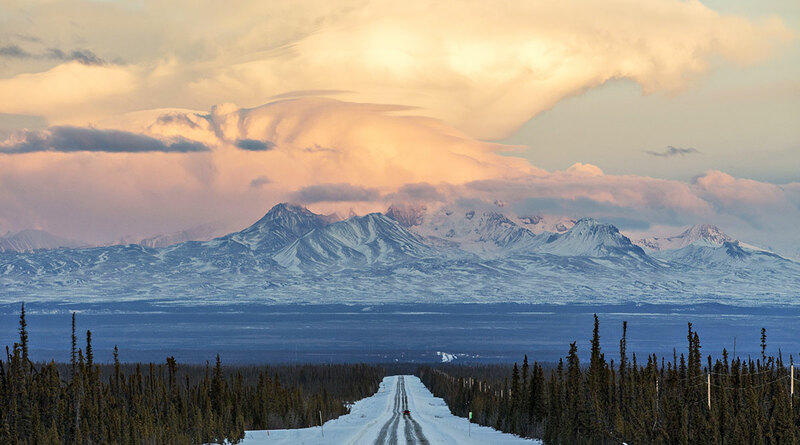 The oil industry already has plenty of room to drill in the region, including some 27 million acres of Arctic Alaska, said Nicole Whittington-Evans, Alaska regional director of The Wilderness Society. “This is just another example of this administration’s shortsightedness and desire to sell off America’s public lands to oil companies,” she said. The NPR-A, as the reserve is known, was intended for energy development, having been established nearly a century ago as a potential oil resource for the U.S. Navy. The U.S. Geological Survey estimated last year that the reserve contains an estimated 8.7 billion barrels of oil and 25 trillion cubic feet of natural gas. But development has been slow, in part because of logistical and legal hurdles. Just seven tracts drew bids last year during a government auction of NPR-A leases. Another sale is scheduled for Dec. 12.